Have you suffered an injury due to serving in the armed forces? Do you have a loved one who can no longer live the life they once did due to their brave efforts in battle? Do you feel the mental as well as physical strain of living with the painful memories of war? 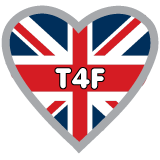 Therapies4forces is a donation based UK not for profit company, who’s focus is to help past and present members of the armed forces, no matter when you served, to recover both physically and mentally from the injuries and traumas they have suffered as a result of war. Our aim is to provide a series of free treatments that will go towards the overall wellbeing of our service men and women all over the UK. From deep tissue massage that can aid in an individuals physiotherapy programme to relaxing aromatherapy or reflexology treatments that will both benefit the body and mind overall. We also recognise the amazing work and support many carers and family members give to many sick ex-personnel on a daily basis – At Therapies4forces we want to extend our free treatments to such fantastic individuals, that insure our brave men and women have the best quality of life possible. All treatments start with a free and private consultation with one of our highly trained therapists. As always it is important to us to get to know our clients, so we can create a special tailor made package that meets your exact needs and requirements. All consultation are safe, private and confidential so you won’t have to worry about a single thing. Our highest priority is to help you in every little way we can – we want to massage all your cares away and make you feel every bit of the hero you truly are. Therapies4forces was set up in 2011 to support those who have in many cases given up so much to stand up and defend the rights of others. It’s time for us all to give something back to these courageous and inspiring service men, women, veterans and their families (military community) and to show them that we are more than thankful for everything they have done. Please take the time to read through our website, which has information on the treatments we offer, advice for families and carers, information on ways to donate and fund raise and also a section appealing to any therapist that wish to join us in our cause.